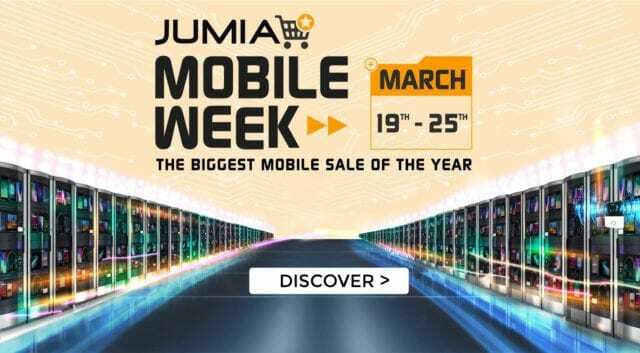 Barely an hour after Jumia.com.ng launched its biggest phone sale of the year at exactly 12 midnight yesterday (Monday, March 19), shoppers have already purchased over 10,000 pieces of smartphones brands. Giant smartphone brand, Xiaomi is among the top sold smartphones, especially the Redmi 5A Prime Gold which is rapidly becoming the most sought-after smartphone in the country. It has a 5.5 inch screen with HD display; 3GB RAM +32GB ROM; and a superb 16 megapixel front camera with selfie light for that perfect picture. As a result, Jumia has announced a limited restock of additional 1,300 units of the Redmi 5A Prime Gold; meaning, offer is only available while stocks last. In addition, shoppers – especially those who might be unable to purchase the one piece smartphone in the Treasure Hunt or unable to take advantage of the limited Flash Sale offers – will still enjoy millions of deals available on all smartphones during the Mobile Week – March 19th through 25th. If you miss out on the Flash Sales (although, you shouldn’t), the Treasure Hunt will definitely blow your mind. There is only one piece of each smartphone available for the Treasure Hunt. For instance, the Samsung Galaxy S9 was hunted yesterday by a lucky customer at ₦2,850 only. The Infinix Hot 5 and the Tecno Spark K7 are still available for the treasure hunt at a giveaway price of ₦510 and ₦325 respectively. But, remember there is only one piece of each of these brands. If you spin it, you win it! Over 200,000 vouchers up for grabs in the Wheel of Fortune. All you have to do is spin and win! Enjoy the thrill of hunting for vouchers on the Jumia App and win up to ₦2,000 off smartphones in the Jumia Voucher Code Hunt. Make sure you check the Jumia App everyday for clues to win. Remember, Jumia Mobile Week – the biggest mobile phone sale of the year has a deal for everyone! Take advantage of our Pay on Delivery option available only to orders below ₦200,000; however, you can choose other online payment options while placing an order for your favourite mobile phones, tablets and accessories. You can also enjoy next day delivery – provided you shop on or before 2pm each day – of your items if you select Jumia Express for your delivery. This however applies only to orders with a minimum value of ₦15,000 and within Lagos.